In recent years taking your pets, most commonly your dogs, on holiday with you is becoming the norm – and hotels can tap into a niche market to drive loyalty, guest satisfaction and revenue by offering pet friendly accommodation. Research carried out by a pet insurance provider discovered that over half of British dog owners are prepared to pay extra for pet friendly accommodation and a fifth of dog owners claimed they would be willing to pay up to £25.00 more per night. Over the course of a year, accommodating pets could provide hoteliers with a boost in revenue reaching thousands of pounds. Almost a quarter of UK households own a dog which makes pet friendly offerings a very lucrative market. Advertise the fact you are pet friendly and include added revenue opportunities such as a pet menu, pet treats or even organise a pet related grooming package including overnight accommodation, a pet behaviour therapist session or planned walks in the surrounding areas! A survey carried out by TripAdvisor found that 50% of people’s biggest pet peeves when travelling with pets is finding activities to do and 15% struggle to find pet friendly accommodation at all. Simple things can be put into place to cater for this market - branded food and water bowls made readily available, dog beds and towels for comfort, a selection of toys and a brochure with a guide of what dogs and their owners have access to around the property for example. 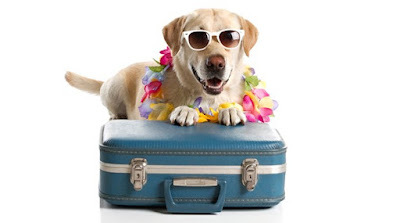 In an ever competitive market place, offering pet friendly accommodation could be your unique selling point against your competitors and could earn your hotel a large sum of incremental revenue – now that’s paws for thought!